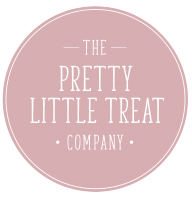 Pretty Little Treat Co bath treats are adorable little fairy cakes that have been lovingly hand rolled with lashings of cocoa butter & sweet almond oil to moisturise your skin while you bathe. In our signature fragrance of soft florals and washed cotton and sprinkled with a dusting of fine glitter. Presented in a beautiful organza bag to make it extra special. Lie back and relax in the exquisitely fragranced water as this little bath treat slowly fizzes and melts into the warm bath. Your skin will feel super soft and smell just divine! ALWAYS CAREFULLY REMOVE THE TOPPING BEFORE USE! Love these … your skin feels amazingly soft and smells gorgeous after and they aren’t full of nasty glitter which you can’t clean off!